Inspired by African history, MANJA has taken a traditional symbol of freedom from Madagascan heritage and created a unisex collection that is imbued with a poignant sense of historical significance. 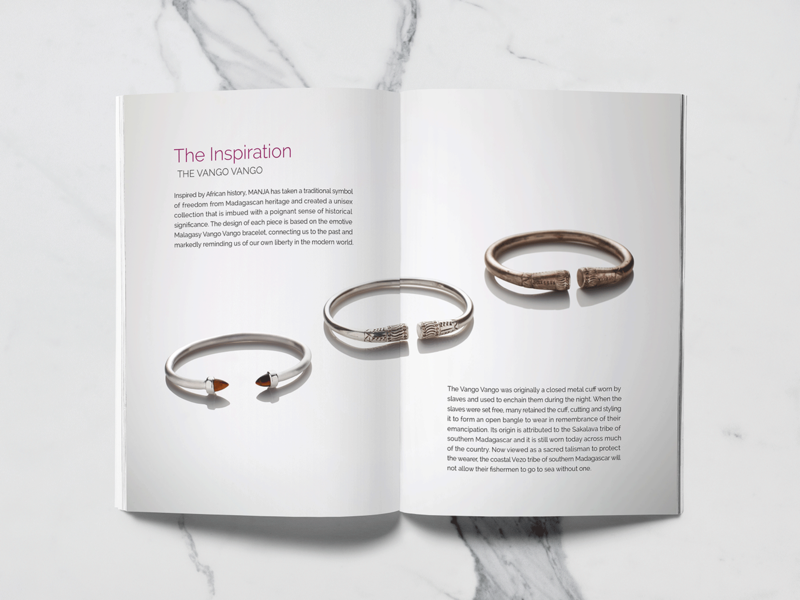 The design of each piece is based on the emotive Malagasy Vango Vango bracelet, connecting us to the past and markedly reminding us of our own liberty in the modern world. The Vango Vango was originally a closed metal cuff worn by slaves and used to enchain them during the night. When the slaves were set free, many retained the cuff, cutting and styling it to form an open bangle to wear in remembrance of their emancipation. Its origin is attributed to the Sakalava tribe of southern Madagascar and it is still worn today across much of the country. Now viewed as a sacred talisman to protect the wearer, the coastal Vezo tribe of southern Madagascar will not allow their fishermen to go to sea without one. MANJA has partnered with award-winning charity SEED Madagascar for the Freedom collection. 20% of all proceeds from the sale of items will be donated to SEED Madagascar, whose mission is to support the poorest people in Madagascar by helping them to establish sustainable livelihoods for themselves. Providing an accessible education is key to freeing their children from poverty, so the money raised by MANJA will specifically be used for the construction of a brand new school in southern Madagascar. By partnering with SEED Madgascar, MANJA hopes to give something back to the cherished place that is the inspiration behind the brand. 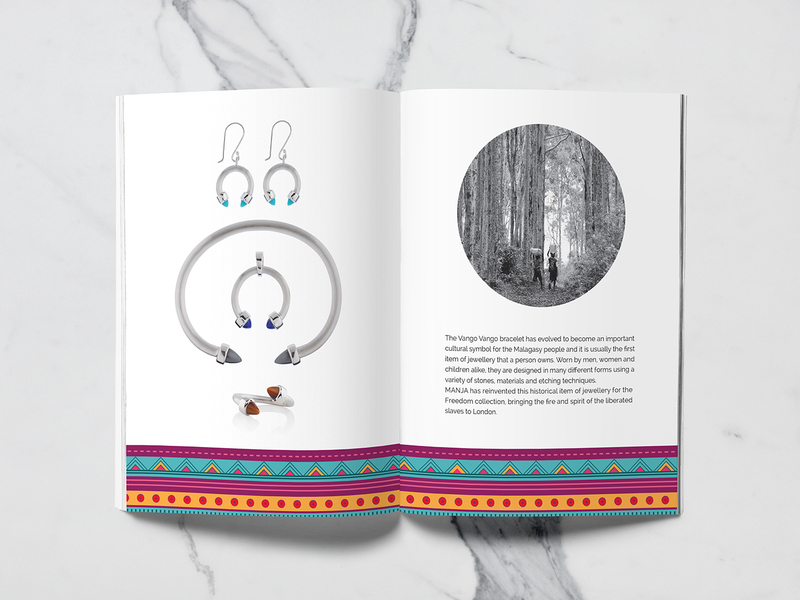 The Freedom collection not only brings an important moment in African history to the fore, it also offers a link and aid to the Madagascar of today.